For a variety of reasons, Muslims in America are in the public spotlight. As a result, the demand for information and analysis on Muslims and Islam in the United States has risen. At ISPU, we conduct objective, solution-seeking research that empowers American Muslims to develop their community and fully contribute to democracy and pluralism in the United States. It is our hope that these materials will allow a host of interested parties to do the same. 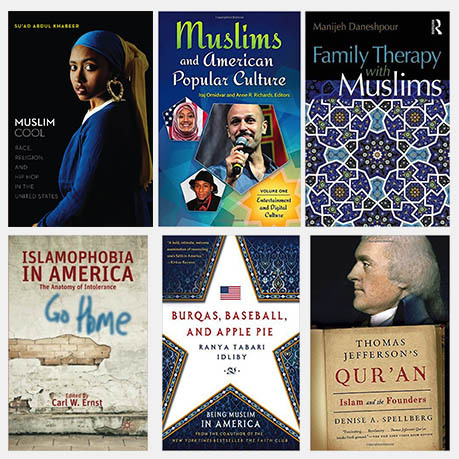 In an effort to provide a resource for academics, advocates, journalists, students and others, we created this bibliography of over 250 books published between 1966 and 2016 focused on Muslims and Islam in the United States. We did not include books that focus primarily on Islam and/or Muslims outside of the United States. The bibliography is categorized by subject matter and chronologically with the most recent publications first. The categories include anthropology, biography, health, history, law, political science, reference, and sociology. This bibliography was co-authored by Sahar F. Aziz, Professor of Law, Texas A&M University School of Law, and Cynthia Burress, Instructional Assistant Professor of Law, Texas A&M University School of Law. If you find any relevant books are not included in this list, we welcome you contact Professor Aziz (saziz@law.tamu.edu) or Professor Burress (cburress@law.tamu.edu) with the citation of your suggested book addition.